The Student Art Guide is on the lookout for the best high school art teacher blogs, social media profiles and art education websites. Below is a list of the gems we have found. Developing Nicely is a stunning blog by Chris Francis, UK Art teacher and Senior Leader at St Peter’s Catholic School, Bournemouth, England. The blog contains thought-provoking articles that are illustrated with creative, contemporary student artwork, such as the examples shown below by Beth. The site is a rich resource for GCSE and A Level Photography students in particular (these are qualifications studied by high school students in the UK) and is guaranteed to keep you engaged for hours. Highly recommended. Julia Stubbs is an Advanced Skills Teacher in Art and Design at William de Ferrers School, Essex, England. Her website features high quality OCR GCSE and A Level Art artwork, photographed comprehensively and listed with results. Exemplar material is available, as are teaching resources. The action paintings below are from Martin Reynolds’ Grade A, A2 Fine Art project. More of Martin’s project can be viewed here. The website by AP Studio teacher Carrie King contains a superb collection of teaching activities for the Art students at Mt. Eden High school, Hayward, California, USA. The activities cover perspective, line drawing, the depiction of glass and metal objects, working in monochrome, figure drawing and still life arrangements; providing structured activities to help students complete the 12 AP Breadth pieces. 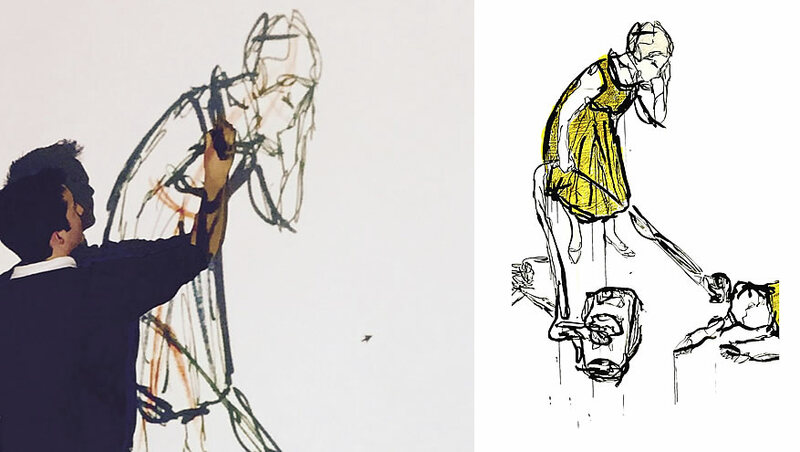 Each assignment is accompanied by artwork from Carrie’s own students, such as the two examples below by Tiernan Kang (left) and Sikai Song. Feeda is an experienced high school art teacher, working at Tanarata International Schools, Kajang, Malaysia. Feeda’s students have achieved outstanding success, including Top in Malaysia for Cambridge IGCSE Art and Design, three years in a row. Feeda’s blog documents these projects, making them valuable learning opportunities for others. The image below is from a project that was awarded Top in Malaysia in 2016. More of this project can be viewed here. 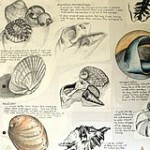 Mrs Crowther’s blog contains artwork from Bolton School, United Kingdom. It features A Level and GCSE artwork as well as projects by younger students. 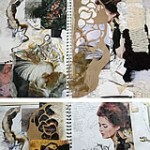 A Year 10 Art lesson from Bolton School is included within our article about use of mixed media for painting students. The example below is from a GCSE Art project. 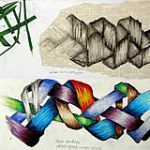 Bartelart.com is the home of Dr. Marvin Bartel, who has many decades of teaching experience, including over 30 years teaching in the Art Department at Goshen College, Indiana, United States. Marvin has Master and Doctor degrees in art education and is a consultant, lecturer and writer. 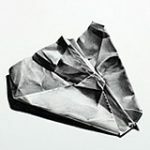 His website contains superb essays about drawing, creativity and teaching art: many interconnected pages that will engage you for hours. Photography Project was created by UK Photography teacher Liam Smith and his students. The website contains tips and advice for GCSE and A Level Photography students, as well as examples of projects that were awarded high results. 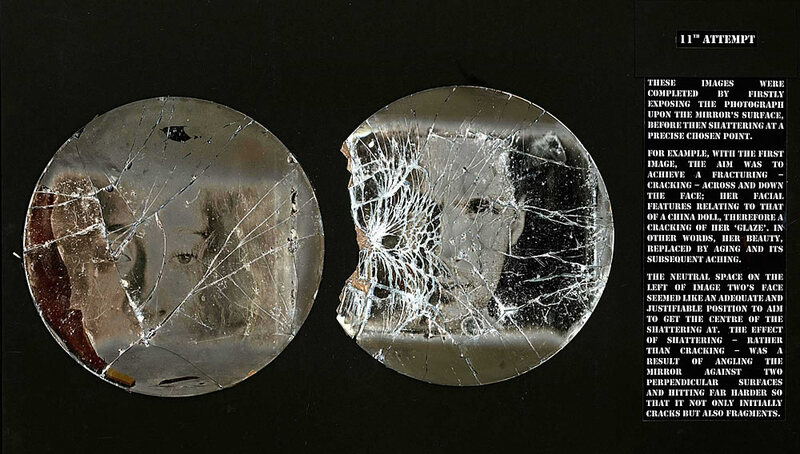 The image below captures a tintype image upon a broken mirror and is part of an 100% A Level Photography project exploring Post Traumatic Stress Disorder. Dan China is a secondary school Art Adviser with a wealth of experience. His past roles include Ofsted Inspector and Chief Moderator / Examiner. He has worked on curriculum and assessment developments as well as revisions to examinations and assessment strategy. 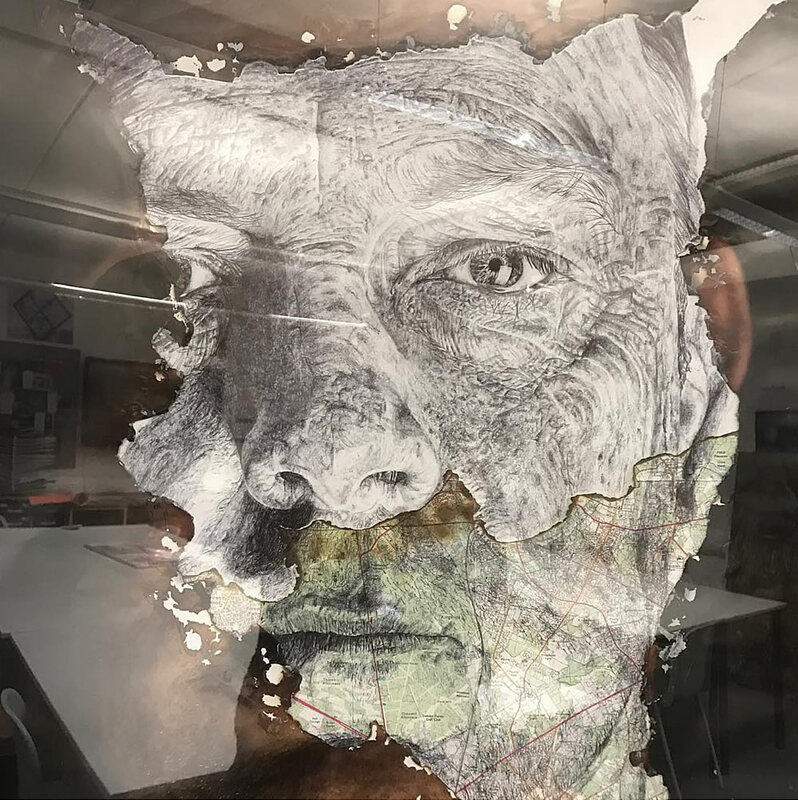 He has published a fantastic collection of student artwork Flickr, depicting some of the best A Level student work from Buckinghamshire schools (2007 – 2011). Ferhan Khan is an experienced high school Photography teacher from Doha College, Qatar. 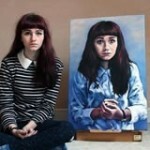 He has uploaded many outstanding A Level Photography and Art portfolios. These are shared in their entirety, with legible annotation and process documented, making these excellent learning tools. 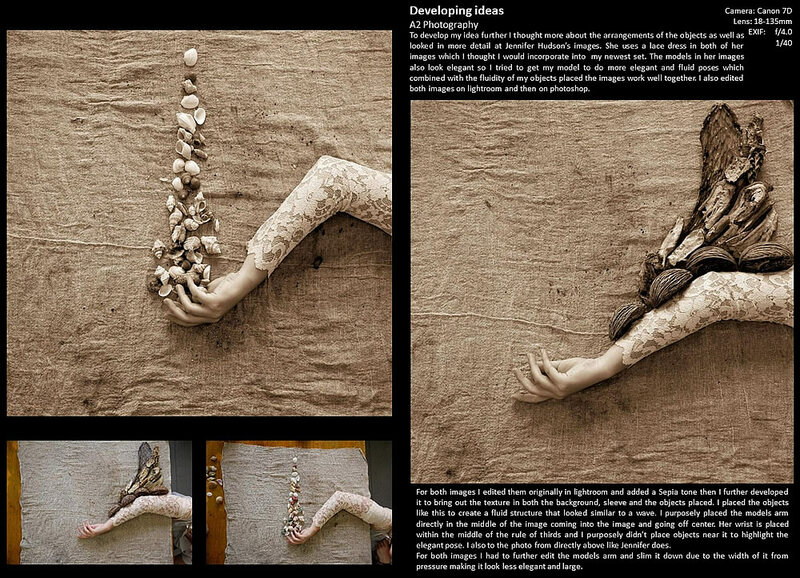 Students investigate exciting subject matter, explore contemporary editing techniques and stage innovative compositions, as shown in the work below by Beth Miseroy below. Some of the work by Ferhan’s has been featured on the Student Art Guide, such as Kareem Al Saady’s 100% AS Photography Coursework project. The Monks’ Dyke Technology College, which was in Lincolnshire, England, published a range of beautiful GCSE and A Level Art sketchbooks and final pieces from their Art Department (such as the A Level Fine Art sketchbook page below) on Flickr, with some exceptional Graphic Design, Fine Art and Photography submissions. 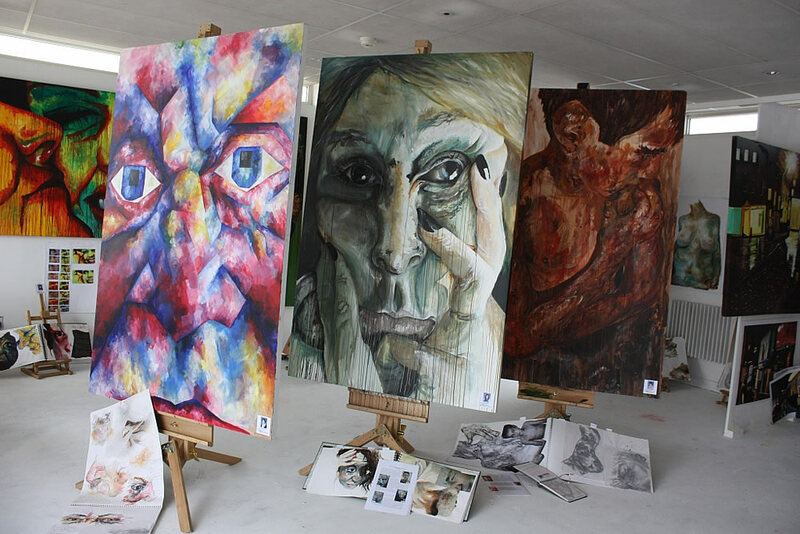 Fortismere, a secondary school based in North London, UK, has a thriving Art Department. Their Flickr gallery contains an extensive collection of images, including A Level Photography, A Level Fine Art etc. This great Instagram profile has frequent posting of A Level artwork. This mixed media example is by A Level Art student George Punter. Photo Pedagogy is a website for high school photography teachers. It contains a comprehensive set of teaching resources, covering a wide range of topics, such as ‘threshold concepts’ and photo literacy. Photo Pedagogy was created by UK high school teachers and contains a collection of highly detailed photography lessons, many of which are accompanied by student examples. 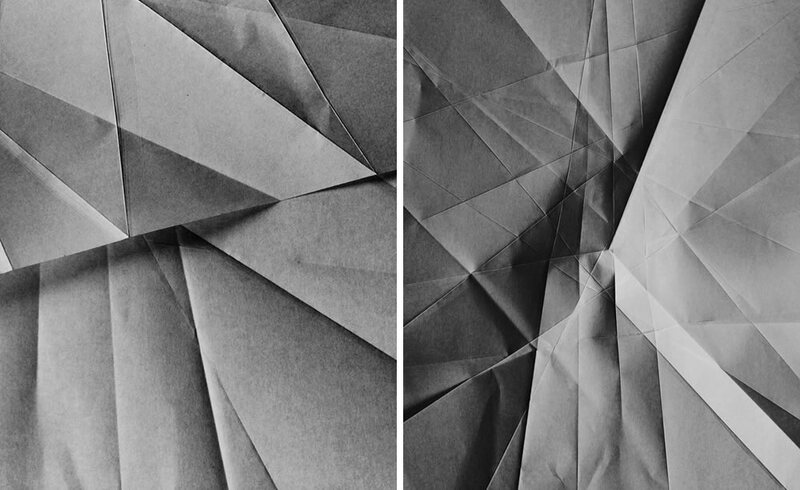 The images below are details from student responses to an abstract forms lesson. Marc Levoy taught digital photography at Stanford for many years and now leads a team at Google. He has uploaded every lecture and made this freely available. The 18 lecture course is targeted at beginners and covers: lenses, optics, light, sensors, natural optical effects, perspective, depth of field, sampling, noise, image processing, editing, computational photography, history, famous photographers and composition. There is hours of footage, which includes include assignments for students. Videos are also available on Marc’s YouTube channel, with a full playlist of the lectures available here. InThinking Visual Arts is a website for International Baccalaureate Art teachers by Heather McReynolds, who has over 20 years of teaching and examining experience. Heather was previously Head of Art at the International School of Florence and now offers training and workshops for IB Art teachers, writes textbooks and shares knowledge via the InThinking Visual Arts website. Although this site is subscription based, there is enough free content to keep you busy for hours. 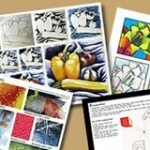 Much of the material is relevant for teachers of any high school Art qualification. The image below is by Enrico Giori who has his IB Visual Art project featured on both the InThinking and the Student Art Guide. Advanced Placement (AP) is a rigorous high school qualification offered to students in Canada and The United States. The College Board AP Central website has three great Art sections: Drawing, 2D Design and 3D Design, which each include a link called ‘Drawing Portfolio with Student Samples and Scoring Guidelines’. 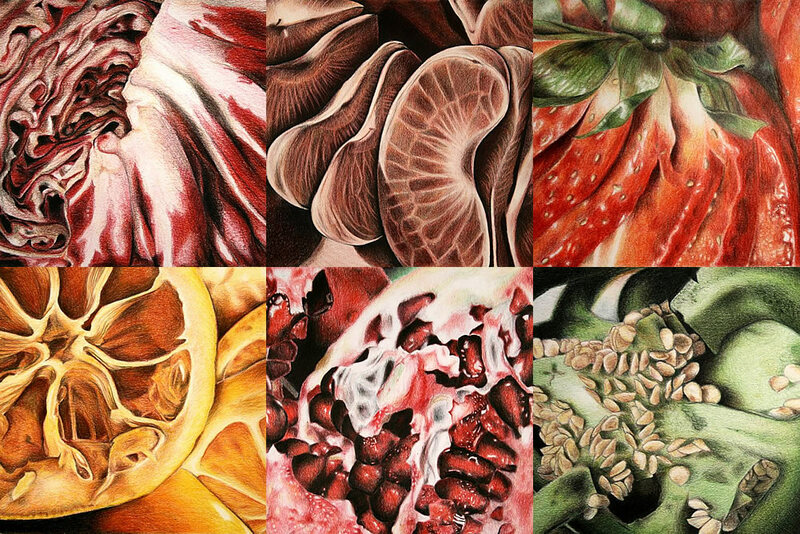 These provide access to an excellent collection of student work (such as the beautiful fruit drawings pictured below by Sucha Chantaprasopsuk from Reavis High School), each accompanied by clear explanations for the marks they have received. The Top Art exhibition features some of the best NCEA Level 3 Photography, Design, Printmaking, Sculpture and Painting (this is the New Zealand equivalent of A2 Art & Design) produced by Year 13 New Zealand high school art students. An excellent source of inspiration for students and teachers. Some Top Art students have been featured on the Student Art Guide, including work by Bronte Heron and Grace Pickford (work shown below). 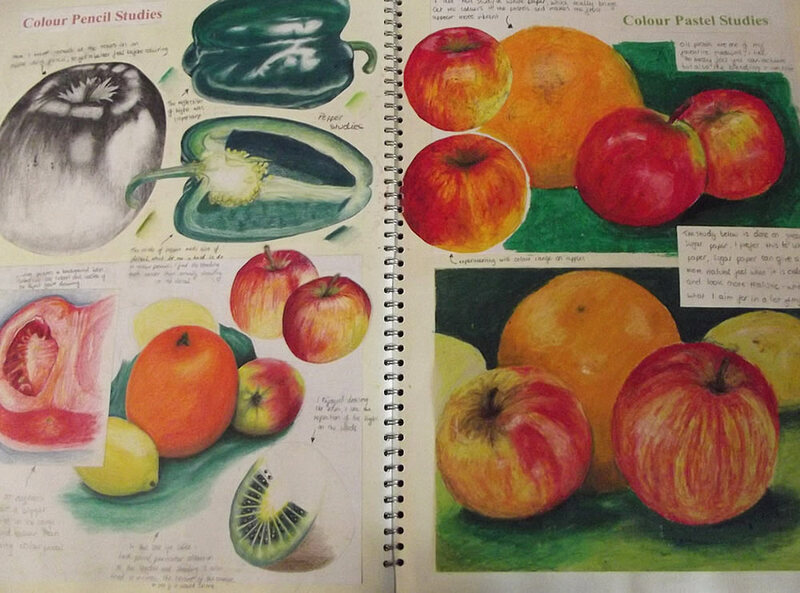 The New Zealand Qualification Authority (NZQA) publish fantastic resources to help high school art teachers and students. 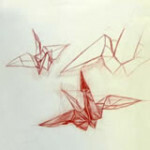 Of particular note are the exemplar material that is provided for Painting, Photography, Design, Sculpture or Printmaking. 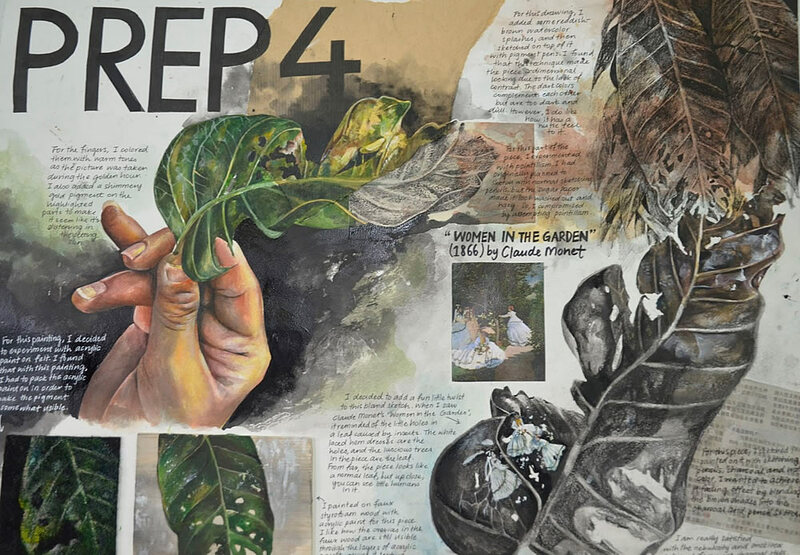 This student work is very similar to that which is required for A Level Art & Design and is a fantastic resource for high school Art students studying any qualification. Work of a range of ability levels is shown, along with superb annotation from the examiners. There is also a separate section of Scholarship exemplars (such as the superb example below) – the very best work from Year 13 high school students. The Saatchi Gallery, London, runs major art competitions for high school students, as part of its education program. The winning and short-listed entries are available for viewing on their website. Although only single artworks are exhibited from each student (as opposed to the complete bodies of work) the range and quality of work is excellent, making this website a great place for those seeking inspiration. 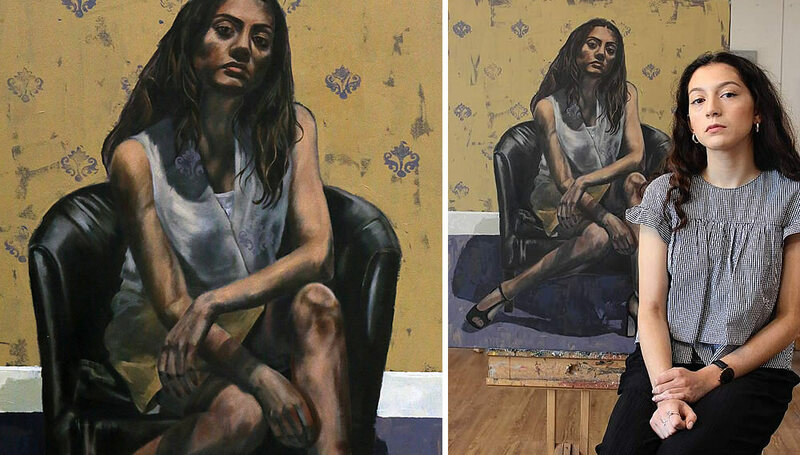 The image below shows a shortlisted artwork by Libby Gervais, Churcher’s College, Petersfield, United Kingdom (image credit: Petersfield Post). You may also be interested in our collection of art competitions for high school students. 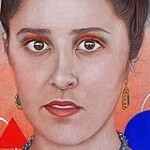 If you have wisdom to share about art education, you may be interested in creating your own blog. Read: why you should create your own website (and how to make one).